Maximize time in Edinburgh on a private full-day shore excursion including pick-up at the cruise terminal. Explore the Old Town on foot, hearing stories from your local guide as you see the Royal Mile. 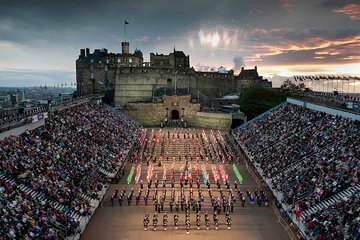 Visit the 15th century Rosslyn Chapel and taste traditional Scottish fare in a historic pub before heading to Edinburgh Castle for reserved seating to see the Royal Edinburgh Military Tattoo.